Kostow Greenwood designed the space to meet the demands of a team of creative entrepreneurs and to push the boundaries of industrial design and alternative manufacturing as they revolutionize the eyewear industry. 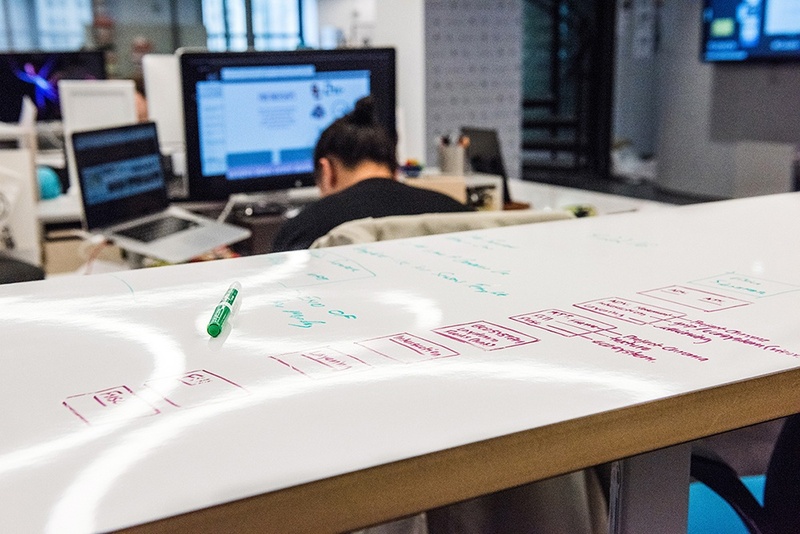 Challenge: VSP wanted to create an open collaborative space, while simultaneously defining zones for different types of work for teams and individual, but had a small floorplate to work with. 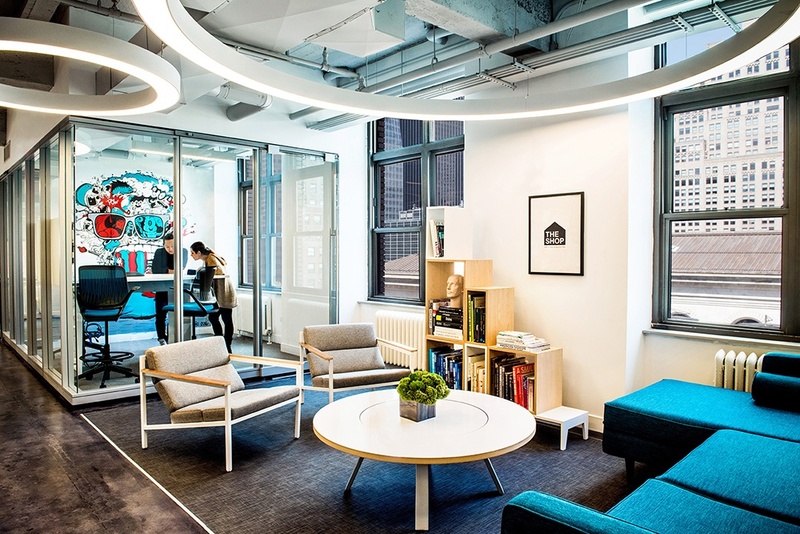 Solution: Meadows Office Interiors and Kostow Greenwood collaborated on a furniture layout to pragmatically integrate every piece into the space. The result is a stunning new workplace featuring a clean, modern aesthetic reflective of VSP Global’s forward-thinking global image. The Shop East at VSP Global is a workplace designed to encourage innovation within an organized work environment. 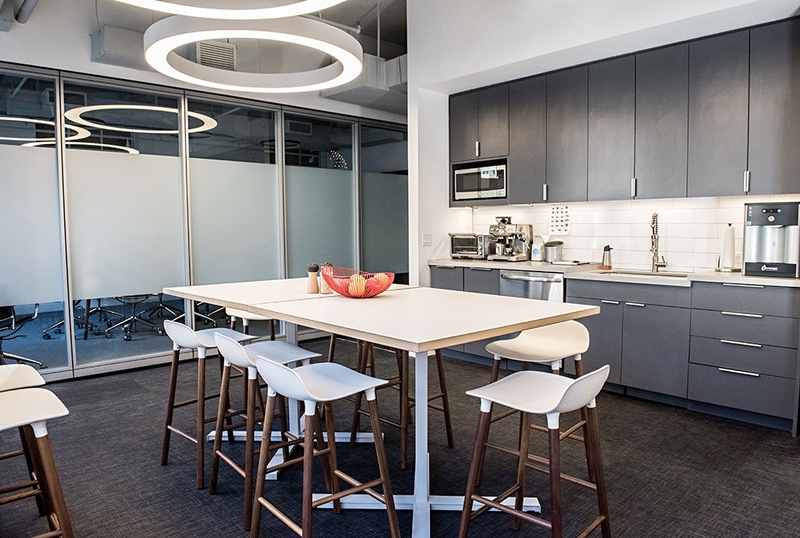 The intent was to maintain an open collaborative space, while simultaneously defining zones for different types of work for teams and individuals. 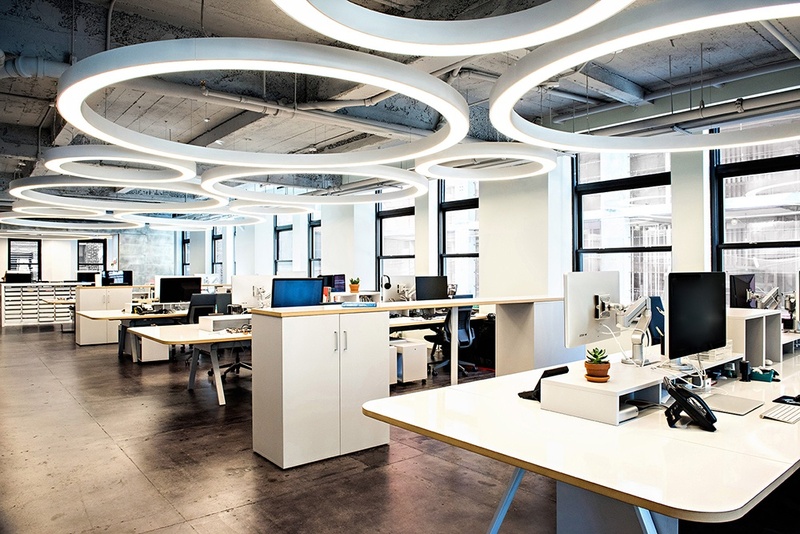 In order to achieve their goals, VSP Global selected Meadows Office Interiors to work with Kostow Greenwood to advise on a furniture program, moveable walls, and layout for the new space. Learn more about the project at Office Snapshots. Learn more about the design firm, Kostow Greenwood Architects.